Antique (1900-1909) MZ Austria | Moritz Zdekauer Constance Portrait Bowl. Maroon, green, gold filigree. Beehive mark. 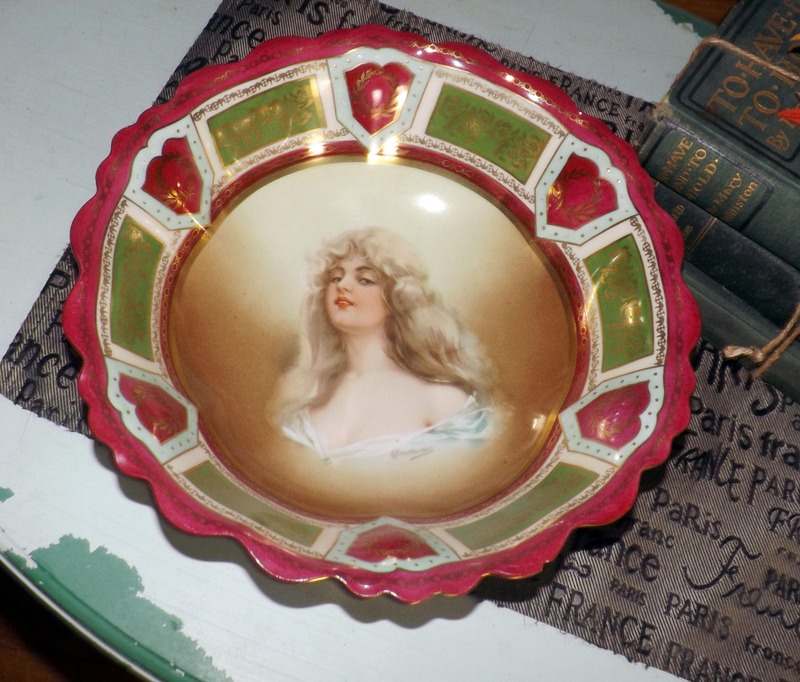 Antique (early 1900s) MZ Austria | Moritz Zdekauer hand-painted Constance Portrait Bowl. Maroon & hunter green with gold filigree. Signed and numbered to reverse. 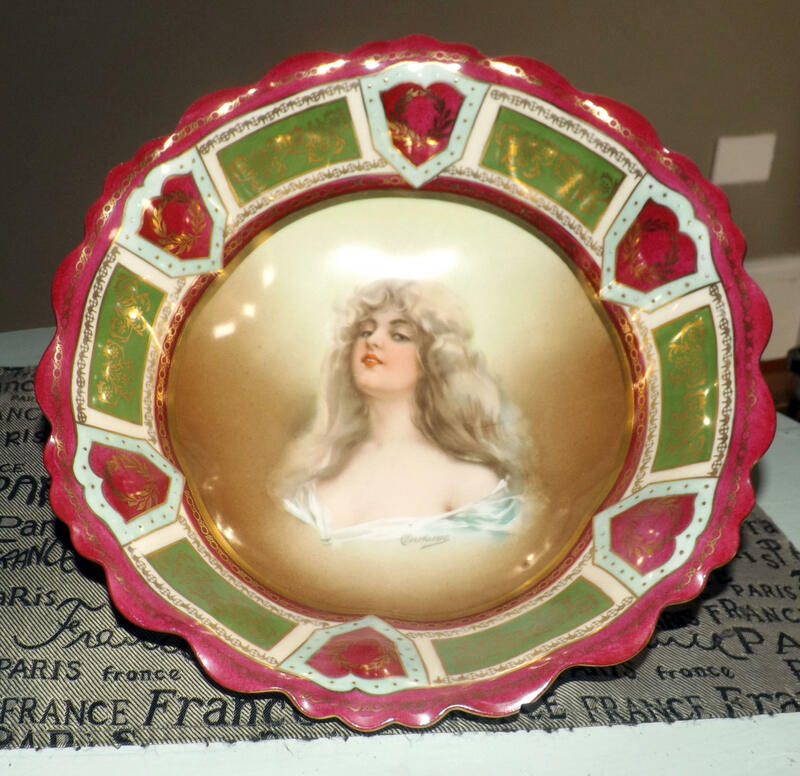 Hand-painted Constance to bottom-right of portrait in center of bowl. In EXCELLENT! 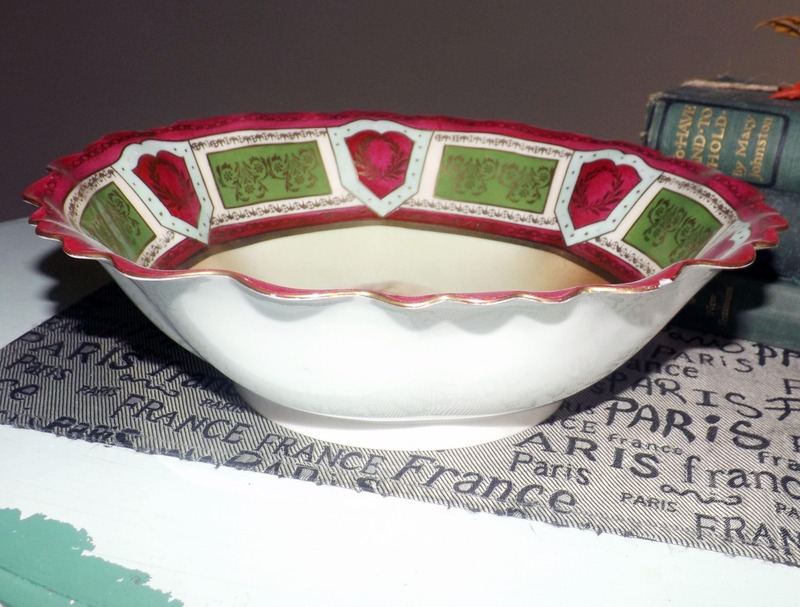 antique condition, but has a sligh chip to the underside of the rim (please see photo 5). Otherwise, there are NO! other chips, nicks, or fleabites, NO! cracks, NO! marks, stains, scratches or other signs of use or wear and MINIMAL! loss to the scalloped, gold edge or gold filigree accents. Bears the MZ Austria/Royal Vienna beehive mark to base. 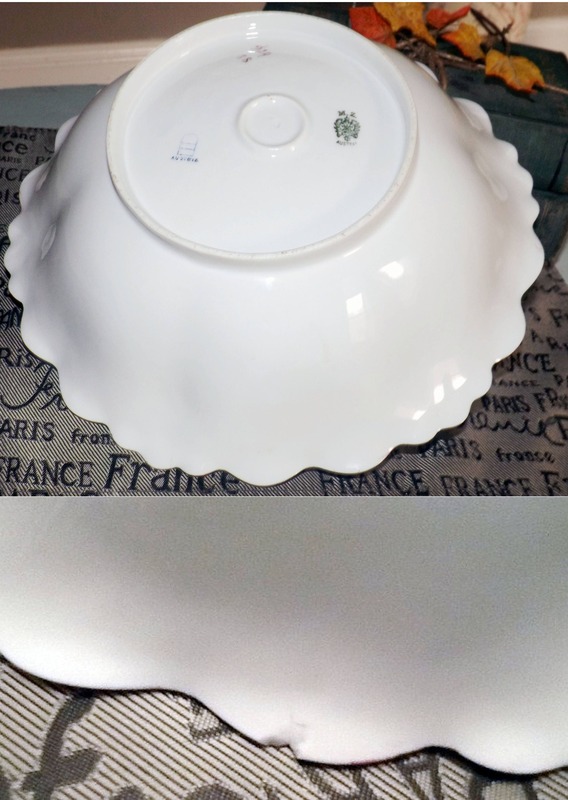 Approximate measurements: 11" in diameter x 5" in depth with a scalloped, gold edge.